Break out the champagne for Chris Barzak, Joy Parks, and David Gerrold, who have just won the Gaylactic Spectrum Award for Short Fiction, honoring works of speculative fiction that deal positively with gay characters, themes, and issues. The winning stories are: "The Language of Moths" by Christopher Barzak (from Realms of Fantasy magazine), "Instinct" by Joy Parks (from the anthology The Future is Queer), and "In the Quake Zone" by David Gerrold (from the anthology Down These Dark Spaceways). The Future is Queer, edited by Richard Labonte and Lawrence Schimel, won in the Other Works category, along with the television series Torchwood and the film V for Vendetta. Congratulations to all concerned. More information can be found here. Wow, the new list of nominees for the World Fantasy Award is up and it is a fabulous list of books, short fiction and anthologies. A special congratulations to Jeff Ford, nominated in three separate categories, Christopher Rowe for his terrific short story "Another Word for Map Is Faith," Catherynne M. Valente for her brilliant Orphan's Tales, Ellen Kushner for The Privilege of the Sword, and Terri Windling and Ellen Datlow for their anthology Salon Fantastique. Check here to see the full list of nominees in each category. 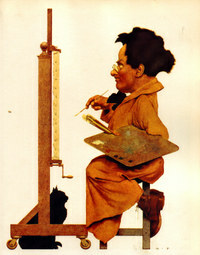 The art here is by the American illustrator Maxfield Parrish. Our hearts go out to Michael Bishop (author of Brittle Innings and other fine novels) for the tragic loss of his son Jamie in the shootings at Virginia Tech. 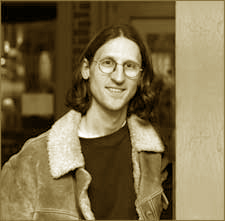 Jamie Bishop, who taught German at Virginia Tech, had earned his BA from Georgia University and had been a Fulbright Scholar in Kiel, Germany (studying Early and Ancient History and Archeology). He was also a photographer, digital artist, and a book illustrator for Golden Gryphon Press, Prime Books, and other publishers. 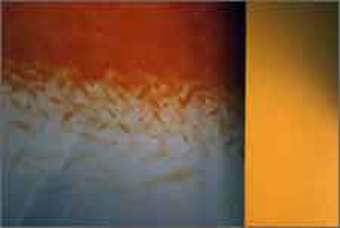 The photograph below is from his beautiful "Red, Gold, Blue" series. You can see more of his work on his Memory39 website. There's an article about Jamie in the Roanoke Times ("Jamie Bishop: He Talked About 'Changing the World With Art' "), and Paul Di Fillipo has posted an excerpt from Michael Bishop's essay "A Reverie for Mister Ray," about reading Ray Bradbury to Jamie as a child. There are simply no words with which to properly express the deep sadness of this senseless death. Our prayers are with Michael & Jeri Bishop and their family, and with Jamie's wife Stephanie. "The Hamas-run Education Ministry on Saturday rescinded its decision to pull an anthology of Palestinian folk tales from school libraries and destroy copies, reportedly over mild sexual innuendo, following a widespread public outcry. "Education Minister Nasser Shaer, of Hamas, told The Associated Press in a telephone interview that he had not been informed of this week's decision to ban the book, Speak Bird, Speak Again. Some 1,500 copies of the book were destroyed -- the most direct attempt by the militant Muslim group to impose its beliefs on Palestinian society. 'I have decided to correct the illegal measures that were taken regarding disposing the book,' Shaer said. "A group of prominent intellectuals planned to protest the book ban in Ramallah on Saturday. They said they intended to proceed with the march, even after Shaer's announcement. 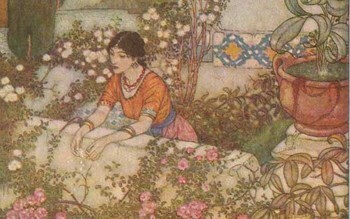 The 400-page anthology of folk tales narrated by Palestinian women was first published in English in 1989 by the University of California at Berkeley. It was put together by Sharif Kanaana, a novelist and anthropology professor at the West Bank's Bir Zeit University, and by Ibrahim Muhawi, a teacher of Arabic literature and the theory of translation. At the time of the first publication in Arabic, in 2001, the Palestinian Culture Ministry requested 3,000 copies and had them distributed in schools, Kanaana said last week. Kanaana said that two of the 45 tales contained what some might consider vague sexual innuendo, referring to body parts in colloquial Arabic." For my own part, I've ordered an English-language copy of Speak Bird, Speak Again as my way of supporting the editors' efforts to preserve the folk tales told by Palestinian women. This was reported today by the Associated Press: "The Hamas-run Education Ministry has ordered an anthology of Palestinian folk tales pulled from school libraries, reportedly over mild sexual innuendo, the most direct attempt by the Islamic militants to impose their beliefs on Palestinian society. The book ban angered and worried many Palestinians, who have feared that Hamas would use last year's election victory to remake the Palestinian territories according to its hard-line interpretation of Islam. "The 400-page anthology of 45 folk tales narrated by Palestinian women was first published in English in 1989 by the University of California at Berkeley. It was put together by Sharif Kanaana, a novelist and anthropology professor at the West Bank's Bir Zeit University, and by Ibrahim Muhawi, a teacher of Arabic literature and the theory of translation. Kanaana said Monday he believes 'The Little Bird,' a story in a chapter titled 'Sexual Awakening and Courtship,' was among the reasons the book was banned because it mentions private parts. 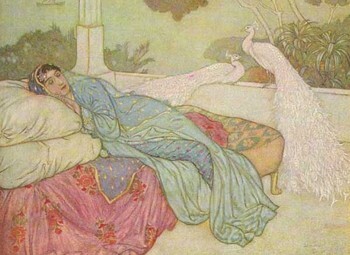 In their notes, the authors say the bird in the story is a symbol of femininity and that sexual subjects are a principal source of humor in Palestinian folklore. 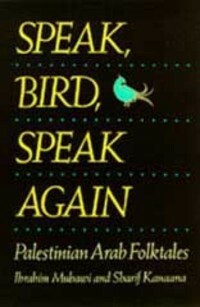 "West Bank novelist Zakariya Mohammed said he feared Hamas' decision to ban the book Speak Bird, Speak Again was only the beginning and urged intellectuals to act. 'If we don't stand up to the Islamists now, they won't stop confiscating books, songs and folklore,' he said." Read the full article by Mohammed Daraghmeh and Dalia Nammari here. 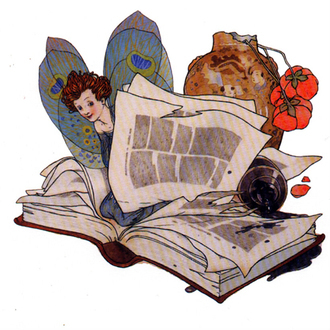 Today is World Book Day 2007, designated by UNESCO as "a worldwide celebration of books and reading, marked in over 100 countries around the globe. The origins of the day come from Catalonia, where roses and books were given as gifts to loved ones on St. George’s Day –- a tradition started over 80 years ago." Special Award, Non-Professional: David Howe and Stephen Walker (for Telos Books). Check here to see the full list of nominees for 2006. I've long been fascinated by the life and writings of Anais Nin, who packed more living into her span of years that any ten other people put together. Like her most famous lover, Henry Miller, she was a complex mixture of admirable qualities and regrettable ones, all chronicled for posterity in her famous diaries. She spent the last stretch of her life as a bigamist, marrying a handsome, much-younger man named Rupert Pole in California while still married to her life-long partner Hugh Guilier in New York City. (She went back and forth between them every few weeks, and for many years neither man knew about the other.) Rupert, the last surviving member of the trio, and the executor of Nin's literary estate, died recently in the same California home he shared for many years with Anais. Other Nin fans out there may be interested in this obituary, published in the L.A. Times.